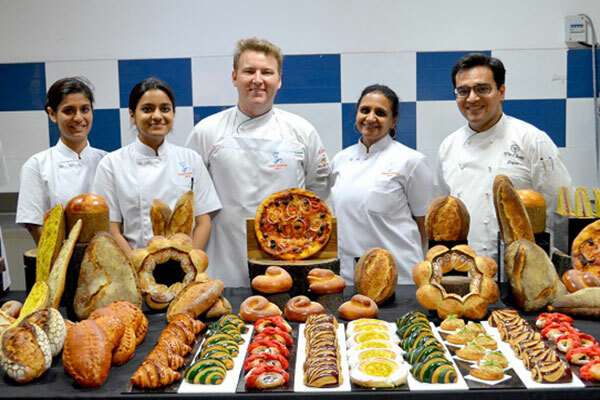 The Academy of Pastry Arts has announced that two teams from the academy will compete in the Junior Pastry Indian Cup 2018 to be held on September 29-30 in Mumbai at the premises of the School for European Pastry in Andheri East. The team from the Academy of Pastry Arts Gurgaon Centre will include Sonali Tandon and Sakhi Grover who will be mentored by Chef Eureka Araujo. The second competing team from the Academy of Pastry Arts Bangalore Centre will include Kush Jadav and Vandana Konidala who will be mentored by Chef Mukesh Singh Rawat. The theme of the competition is “Flying” and competing teams will have to incorporate this theme in their pastries during the competition. During the competition, teams will be required to explore new shapes, trace original lines, and innovatively create decorative effects. Thinking outside the box and exploring new boundaries will be necessary for success in the competition. Competing teams will have to create a sugar showpiece, chocolate showpiece, individual chocolate bonbons, chocolate cake, dessert on a plate, dessert in a glass, and mini pastries. Winners of the competition will be judged on artistic expression and on their technical skills by an eminent jury from the patisserie industry. The jury members will also mentor and supervise the event. Professional ethics, the hygiene of the pastries served, and their taste will also play in important role in awarding winners. Participating chefs will have to follow strict guidelines and parameters during the competition and will also be judged on the same. The winning team from India along with its mentor will represent India at the Junior Pastry World Cup 2019 during the SIGEP show in Rimini Italy in January 2019. The Academy of Pastry Arts is a group of international culinary and pastry schools with a presence in five major cities across Asia. In India, it has centres in Gurgaon, Bangalore and Mumbai.